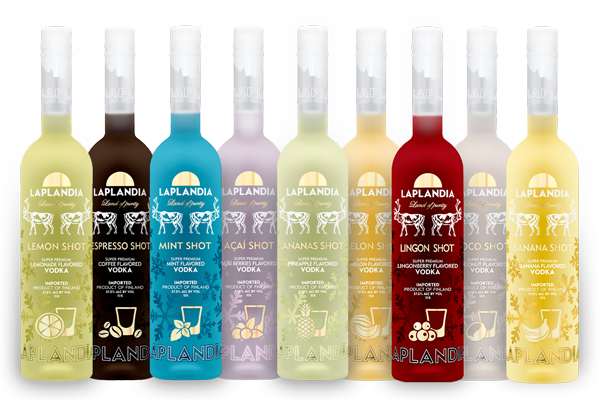 Find out here what Laplandia Vodka is all about. We’re not gonna bore you with some BS stories about traditions and legends (well maybe just a little bit), just the cold truth. Unlike most of these story-tellers wanna make you believe, in the end, it pretty much comes down to one game changer. At least almost. This is just like above, just with some natural flavours added in. Well, not ‘’just’’, our Chef is a mastermind but meaning no artificial stuff. Nothing. And yea we took some inspiration from the Northern Lights, hence the beautiful colors. Hope you like it. Our vodkas are made to be consumed straight. Yea, they’re that good. Of course, however, we don’t wanna leave the cocktail lovers hanging, so check out what we’ve got. Browse on web or download the app!